Affiliate marketing is one of the best way of making money online especially if you are with the Right audience and good traffic. It involves working on the behalf of brands and individual by selling their products and service. Affiliate marketing can be refer to as the market of referring. The more referral you have the more your earnings, That is cool right? This is not my first time of defining what affiliate marketing is on Techbase but i will be giving a short explanation here for who are new to Affiliate Marketing Program. Affiliate marketing is all about two or more people working together to provide a level of benefits for each other. The both party here are the Affiliate and Program owner. This serve as the reward for the affiliate. WHOGOHOST is a Top Nigeria Hosting Company and Founded by Opeyemi Awoyemi in the year 2007 but later incorporated as a Company in the year 2011. And since it has grown to be one the best Web Hosting provider in Nigeria. MA Popular Nigeria Blogs are Hosted on it and they are an accredited Interswitch partner and NG Registrar. Like every other Affiliate program we have in Nigeria( Jumia Affiliate Program). 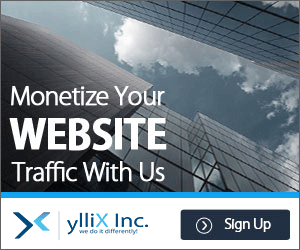 Users are paid based on how many users make use of their affiliate link to register. Any sales that is completed will get the affiliate a 15% commission and that will be credited into your account once you reach the threshold. Before then your account will be loaded with #500 bonus , that is to urge you to bring in more referrals. As a new affiliate you are required to make #2,500 before your Whogohost affiliate account can be credited. By reading the Whogohost Affiliate Review you must have to decide to register but don’t know How to Register for Whogohost affiliate program. It is not a Rocket science. All you have to do is visit the official website and fill in your details. After being approved you can can start promoting their product and earn some cash. You can start immediately after joining but self-referral is not allow. That means don’t be thinking of referring yourself. Is Whogohost Affiliate Program a scam? This question is the first thing I asked myself before writing the whogohost affiliate review. Be rest assure that is not a scam. They are paying many people and you will be pay as well if you follow their Policy . Do you know there is more to Social Media than chatting and sending pictures. You can easily sell affiliate products without stress especially if you have an active Facebook page. You can easily advertise your services in popular forum. Just make sure you don’t spam the thread for you not to be ban from the forum. On of the best strategy of using forum for promoting Affiliate link is you creating your own thread, this way you won’t be ban by bot. Running Facebook ads is one the best way to get targeted audience. It help in targeting audience base on Geographical area and interest. One of the traditional method of marketing can’t be neglect. You can easily tell friends and family about what you have for them. All you have to do is visit your affiliate page , there you can see How much you have made, number of click on your link and number of completed sign up.